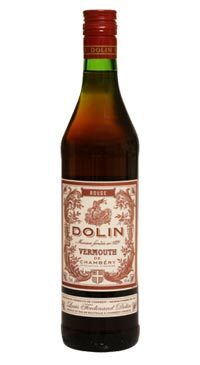 Dolin is one of the last independent vermouth producers and still follows the basic recipes from 1821. Chambery is the only controlled appellation in France for the production of vermouth and Dolin is the last producer of Vermouth de Chambery. There is truly nothing else quite like it. The Dolin vermouths remain much closer to the delicate base ingredients from which they are made and are more akin to fine wine than the grocery store vermouths most of us are used to. Many people are skeptical about vermouth having never tasted a traditional hand-crafted expression before. There is only one thing you can do: try it! The Dolin Rouge is beautifully understated with wild flowers, dried berries, baking spices, and just the right interplay between the subtle sweetness and herbal bitterness. Very refined and charming, this is great sipping as an aperitif or to bring a touch of class and sophistication to your cocktails.